A debating team from The Sixth Form College, Solihull has just secured a victory in the first heat to the English Speaking Union School’s Mace debating competition for 2017-18 held at Warwick School. 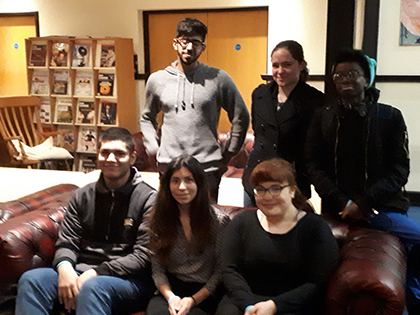 This was the first time the College had entered the competition and it was a real boost for the Debating Society, which has started to flourish this year. The motion was: ‘This House would add e-sports to the Olympic Games’. Rocio Leano and Amelia Lewis were opposing the motion for the College and were able to convince the panel of judges of their side of the debate. The Debating Society were now looking forward to the next heat hoping to build on this term’s success.